It is tropical viral infection ailment which caused by the dengue virus. Also termed as break bone fever. Dengue is caused by arboviruses or Dengue virus. 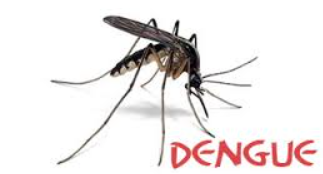 There are four serotypes of dengue virus are DENV-1, DENV-2, DENV-3 and DENV-4. Aedes mosquitoes usually bite at day time, specially during early morning and evening. Dengue viruses is spread by Aedes mosquitoes. Aedes mosquitoes usually bite at day time, specially during early morning and evening. It breeds in fresh water, e.g. broken bottles, flower pots, shells of coconut, cooler etc. Antibodies against the dengue virus identify dengue infection, but these antibodies appear after five days of infection.